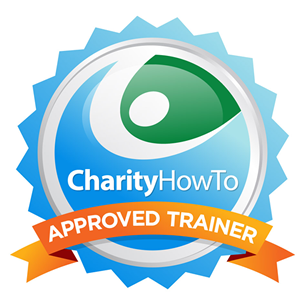 Hey, take a look at this great nonprofit webinar Free Webinar: 20 Must Have Tools for Grant Writing at CharityHowTo! This course is brought to you by a GPA approved trainer. Diane Leonard, GPC is one of only five people who is a GPA approved trainer. Participating in “20 Must Have Tools for Grant Writing” will provide you with a great list of go-to tools that can help you succeed in your grant writing. We will look at tools that support research, documentation, relationships, management, and team communication and planning. In this live webinar we will go through each of the 20 tools to show how they can help you implement a successful grant seeking strategy in your organization. Participating in “20 Must Have Tools for Grant Writing” will give you some “insider” tips and tricks from experienced grant professionals about how they are using tools to create and implement their grant seeking strategy. Use the tips and tricks discussed in this webinar to ensure that you are making the most of your tools in order to successfully meet your grant writing goals and deadlines. Diane has secured more than $32 million dollars since founding DH Leonard Consulting & Grant Writing Services in 2006 in competitive grant funds for its clients from the federal government, state and local governments, and private foundations.